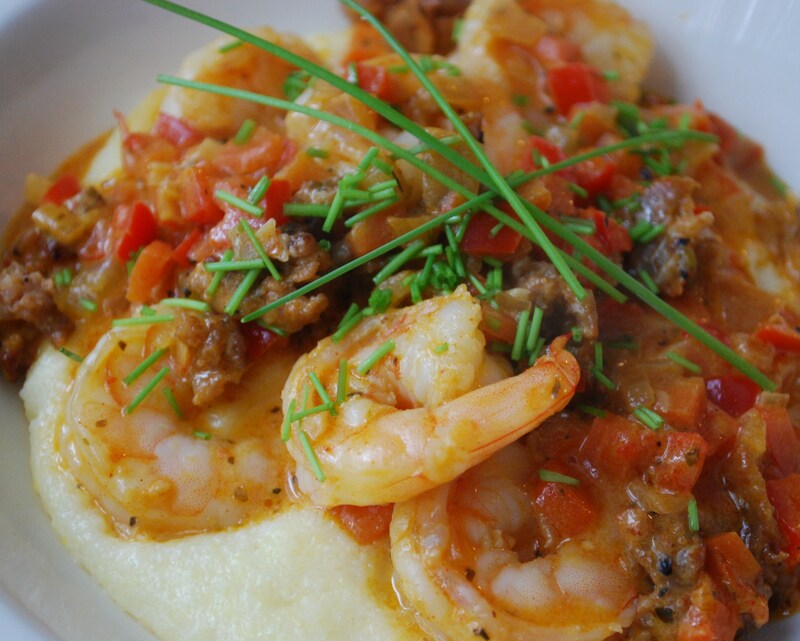 This is a Caribbean version of the Southern classic Shrimp and grits.It contains onions, peppers,tomatoes,chilies and is spiced with thyme, white wine, oregano,cilantro and garlic. The sauce is absolutely wonderful. Cook grits according to package directions, when done set aside a keep warm, if grits get too thick while sitting just add more water and mix well. Saute onion, peppers and garlic in olive oil for about 5 minutes. Add arrowroot or corn starch and saute for 1 minute. Add tomatoes, garlic, salt, pepper and Habanero. Add stock, wine, thyme and oregano. Add the shrimp, reduce heat heat and simmer for 5 minutes. Remove from heat, add garnish with cilantro or chives. Both if you like and serve spooned over grits.